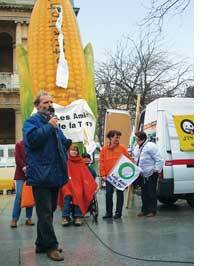 For the first time, a GM multinational pulled two genetically modified (GM) corn varieties from the regulatory approval process at the last minute. Biotech giant Monsanto has abandoned its ambitious plans for a second generation GM crop after Europes food safety authority asked for additional research and safety data. The company has informed the authority that it no longer wishes to pursue its application for approval of GM corn LY038 and LY038 x mon 810both projected as varieties with high nutritional value. Monsanto had submitted the application for commercial approval of the varieties in Europe in 2005 and 2006. The company has requested the authority to return all dossier material. Some scientists believe the varieties may have been too dangerous for commercial cultivation. China has extended an investigation of four detained executives of Australian mining giant Rio Tinto till mid-January. Earlier, it had assured Australia to complete the investigation by November. The executives were detained in early July on charges of bribing to obtain confidential information about Chinas steel industry and iron ore price. The arrest had strained relations between Canberra and Beijing at a time when Chinese steelmakers were attempting to secure bigger cuts in the benchmark price for iron ore. Rio, which remained adamant then, has softened its stance following the incident. It recently said it could sell iron ore to China at a different rate from other markets in 2010. Rio has long been a backer of the decades-old benchmark system, under which the first price agreed between a miner and steelmaker becomes an industry standard for the next 12 months. China is the worlds largest importer of iron ore and Australias biggest trading partner. In an effort to reduce automobile usage and greenhouse gas emissions, the Dutch cabinet has approved a driving tax that would charge drivers 7 cents (10 US cents) a mile (1.6km). The plan, which is to be approved by the parliament before it becomes a law, would use GPS systems installed in each car to keep track of mileage and automatically bill drivers. The tax, which would replace existing road taxes and duties on new car purchases, is designed to cut traffic by 15 per cent and reduce emissions from transport by 10 per cent. Eighteen retired gold miners from South Africa, suffering from silicosis, have filed a lawsuit blaming the Anglo American South Africa for the lung disease that puts them at increased risk of TB and lung cancer. The company failed to protect them from the harmful dust, the miners said. They were employed at a mine in Free State from 1970 to 1998; the company did not provide them with face masks and encouraged to continue working even after they fell ill. Citing that tens of thousands of gold miners in the country have like them contracted lung diseases, often resulting in cancer, because of employers negligence, the 18 miners are seeking compensation and medical help for retired miners. Gold is a chief revenue earner for South Africa. Australias federal government has rejected a big dam project on the Mary river, saying it would push the endangered Australian Lungfish, Mary river turtle and Mary river cod to extinction. The Queensland government had pushed for the US $1.7-billion Traveston Crossing dam project saying it was critical for the water-starved state. An 83-year-old error in the classification of species has pushed a species of European skate to the brink of extinction, said a team of French marine biologists. 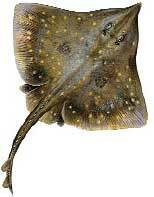 The teams genetic analysis showed that what is referred to as the European skate is actually two distinct speciesthe flapper skate (Dipturus intermedia) and the blue skate (Dipturus flossada). The fish were originally categorized separately, but an influential study in 1926 recognised only one valid species Dipturus batis. As a result, the catches of the smaller, more resilient blue skate has entirely masked the decline of the flapper skate, said lead researcher Samuel Iglesias of Frances Museum of Natural History. Without urgent intervention, flapper skate would be the first fish to go extinct by commercial fishing, Iglesias said in journal Aquatic Conservation. Three indigenous communities in Peru have written a letter to oil tycoon Ray Hunt asking for a meeting with him in person to save their ancestral land. His company, Hunt Petroleum Corporation headquartered in the US, is carrying out oil and gas exploration activities in Perus Amazon forest. Representatives of Yine, Machiguenga and Harakmbut communities said the region Madre de Dios is their ancestral land as per the constitution. 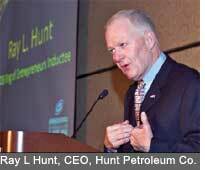 Despite protests, the government allowed Hunt Co to carry out exploration in the region in 2006. 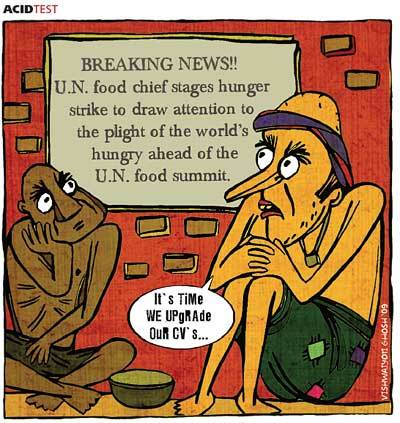 Ethiopia is reviewing a newly-passed law saying it could restrict imports of food aid at a time when millions of its people are suffering from malnutrition. Ethiopias parliament had passed the Proclamation on Biosafety in July. The regulation aims to protect the countrys diverse life forms from genetically modified (GM) seeds or grains and empowers the environment protection authority (epa) to block gmos. But the epa soon realized the regulation also covers the vast majority of food aid Ethiopia receives; the country is in the third year of drought. Everybody knows food from Australia and Canada are produced with gmos, and to say we do not want food from these countries is not tenable, said member of parliament Bulcha Demeksa. US president Barack Obama is hopeful for landmark healthcare reform after the Senate voted on November 21 to begin debate on a draft bill. Two independent senators and all 58 Democrats voted to debate the Patient Protection and Affordable Care Act; 39 Republican senators opposed. At least four senators who voted Yes said they will vote No unless provisions for insurance coverage by the government are removed. The legislation aims to extend insurance coverage to 31 million uninsured Americans by creating a programme to compete with private firms. The House of Representatives cleared its version of the bill in early November. The Greenland ice sheet is melting at triple the rate of what it was a decade ago, said scientists after studying data from satellite observations and regional atmospheric model. Between 2000 and 2008, the island lost about 1,500 cubic km of ice mass, which is equivalent to 0.46 mm per year of global sea level rise. Unusual warm summers in the past two years have further accelerated the ice loss, they said. The scientists though could not pinpoint if the melting is caused by climate change, they said there is very compelling evidence that man-made global warming is affecting the worlds ice sheets. Estimates show if the entire Greenland ice melts, it would cause a sea level rise of seven metres. El Nino has intensified drought across Latin America this year. While Guatemala and Ecuador are facing the worst drought in several decades, the unusual weather phenomenon has caused severe water crisis in Venezuela and Bolivia. 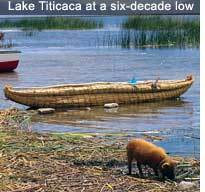 Lake Titicaca, the worlds highest navigable lakes straddling Bolivia and Peru, has reduced to its lowest level since 1949 when the record keeping began. While the lake authorities blame it on global warming, Bolivias met officials said the lake is receeding fast in the past four years due to El Nino effect. Meanwhile, Venezuelas president Hugo Chavez has called for Cuban scientists to create rain by cloud seeding. El Nino, caused by seasonal warming of tropical Pacific waters, upsets normal weather patterns and occurs every three to eight years.